In their second guide to birding in New Mexico, Judy Liddell and Barbara Hussey share their experiences and intimate knowledge of the best places to find birds in and around Santa Fe and other areas in northern New Mexico. Like their first book, published by Texas A & M University Press as part of their W.L. Moody Jr. Natural History Series, this guide also provides user-friendly resources to help both new and experienced birders locate convenient places to enjoy their passion, or to assist visitors and newcomers to locate specific bird species. Following the same format as their book on the Albuquerque area, the authors describe 32 sites organized by geographic regions. Along with a general description of each area, the authors list target birds; explain where and when to look for them; give driving directions; provide information about public transportation, parking, fees, restrooms, food, and lodging; and give tips on availability of water and picnic facilities and on the presence of hazards such as poison ivy, rattlesnakes, and bears. Maps and photographs provide trail diagrams and images of some of the target birds and their environments. 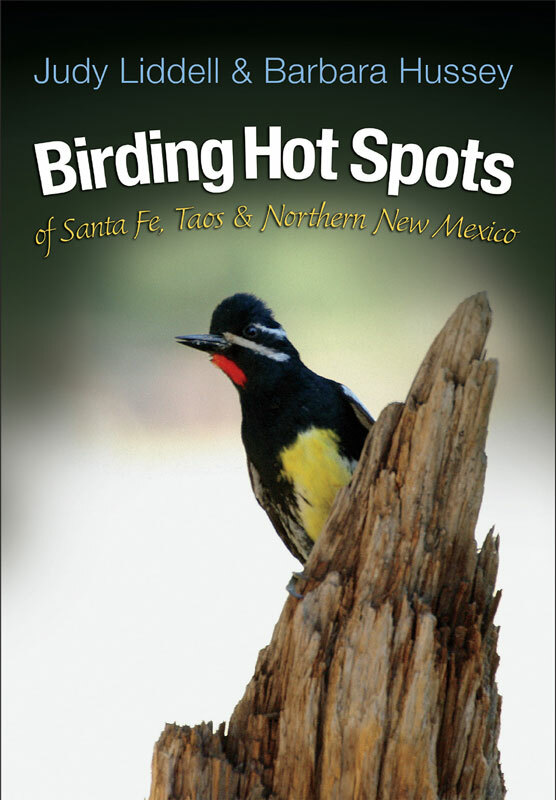 A “helpful information” section covering weather, altitude, safety, transportation, and other local birding resources is included along with an annotated checklist of 276 bird species seen with some regularity in and around Santa Fe. The book was selected as winner of the Reference Book category in the 2016 New Mexico-Arizona Book Awards.